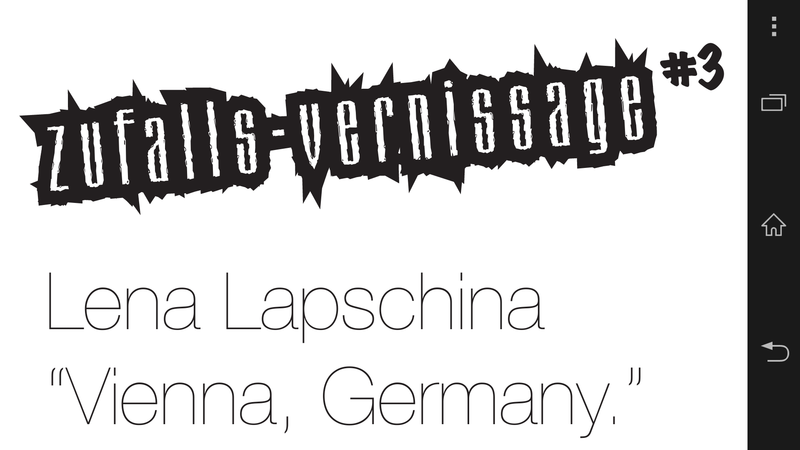 Lena Lapschina is staging her next “zufallsvernissage” at Schleifmühlgasse 12–14 in Vienna’s vibrant gallery district. Join us for a preview-party on October 10, from 6 p.m. till late! Grill, wine, vodka. Tea & coffee. Organic juice. Пива нет. This entry was posted in Lena Lapschina­­­­ and tagged accidental vernissage, lena lapschina, schleifmühlgasse, zufalls-vernissage, zufallsvernissage on September 30, 2013 by LL.